IBL Technologies, LLC announced recently plans to introduce the new VAC745 and VAC765. The new premium vapor phase soldering machines will be displayed for the first time in Booth #1237 at the 2017 IPC APEX EXPO, scheduled to take place Feb. 14-16, 2017 at the San Diego Convention Center in Calif. 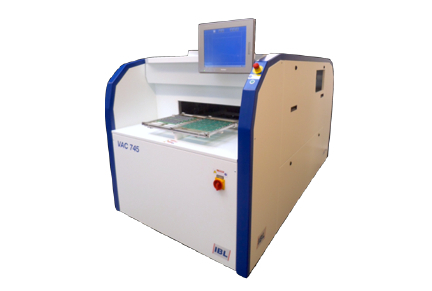 The VAC745 and VAC765 are premium vacuum vapor phase soldering machines designed to meet today’s high quality demands when it comes to the soldering process and product quality. The PC-controlled machine in combination with the 15" touchscreen offers network capability, unlimited program and data storage as well as simple operation. 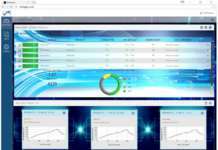 Convenient modification of program parameters, real-time recording of solder profiles, targeted data and data management are just a few benefits of the new machine controller. The integrated IPS Intelligent Profiling System enables users to create a solder profile in just one step since the PCB temperature is used to control the process (Pilot Mode). All systems are integrated into the machine, thus there is no need for any external measurement systems. The combination of the vapor phase soldering with a vacuum process significantly increases the reliability of the finished product. Sensitive applications (e.g. fine pitch) mostly require a flexible machine with adjustable vacuum parameters. The VAC745 and VAC765 meet and exceed those requirements with the ability to influence evacuation time, holding time of the vacuum and venting time. 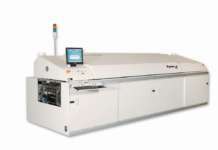 Additionally, the patented InVapour Technology creates a fully inert soldering and vacuum process.